Design a personalized iPhone 8 wallet case. A wallet case is more than just protection. 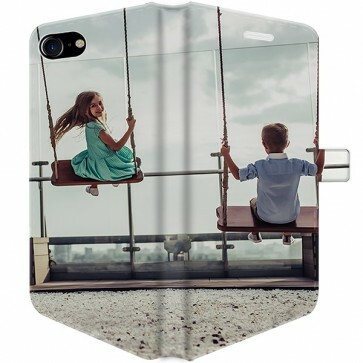 Have fun by designing a custom iPhone 8 case as a gift for family and friends! There you are at the cash register, with your phone in your hands. You realize you forgot your wallet and you turn bright red out of shame. A custom wallet case prevents these kinds of awkward moments! 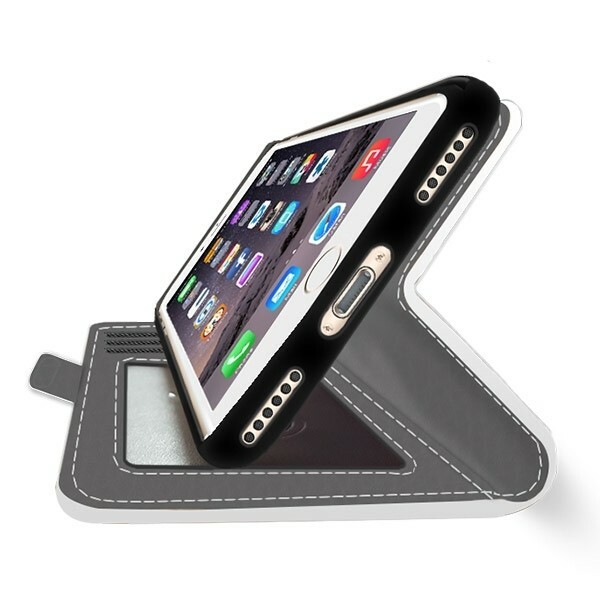 It has 3 compartments for your credit cards and a large slot for cash money and other things. In addition, it gives your iPhone 8 the protection it needs. This custom iPhone 8 case of synthetic leather offers full protection for the iPhone. The case has a magnetic strap that keeps the phone case. The iPhone 8 can be snapped into the case simply and quickly. 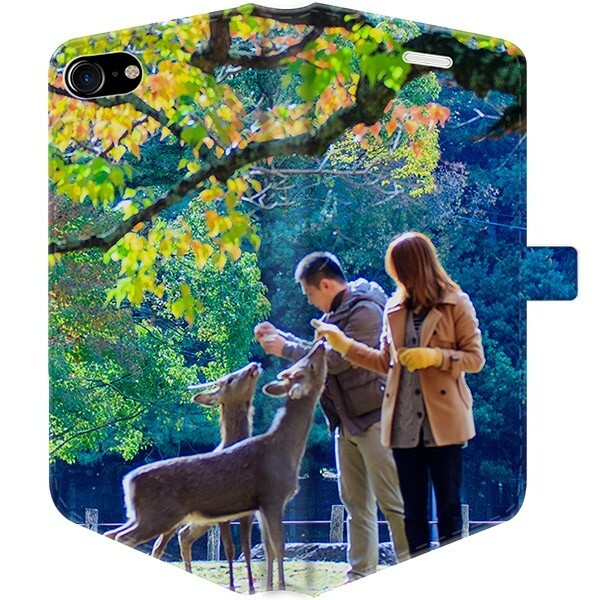 Due to the design of the case, the phone is still easy to operate. 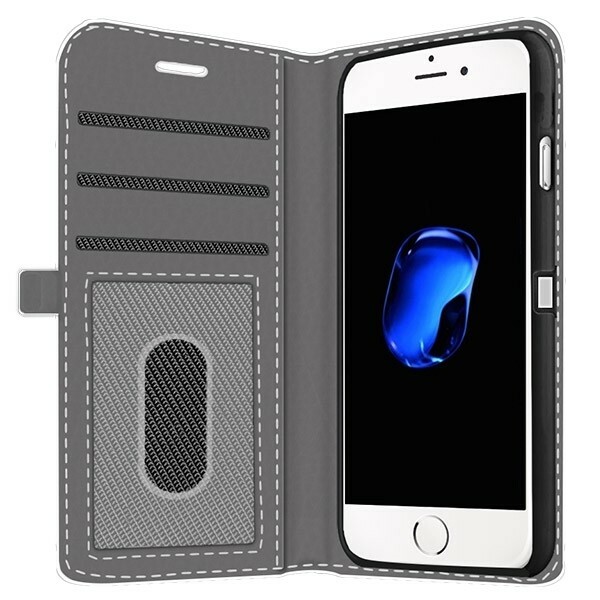 You can still charge your phone easily and plug your earphones as you are used to with this iPhone 8 wallet case. Designing a custom iPhone 8 case is simple and fun! Through our easy-to-use design module, customizing a case only takes a short period of time. It is also fun to do. You can use all kinds of pictures and images for your own design. Check with your friends to see all the pictures that you can use for your case and enjoy the design of a custom iPhone 8 case together. It is also possible to choose photos from your Facebook and Instagram. You can upload them in our design module. If you can not choose from any of your pictures, then you can also use one of our own designs or colors. The custom iPhone 8 wallet case is printed on a white background. Using advanced printing techniques and ink of very high quality, the ink is deeply infused into the case. This creates a very sharp printout of the design, and the colors will not wear out. 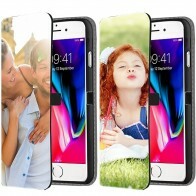 You will, therefore, enjoy a long time of having fun with the custom iPhone 8 case. 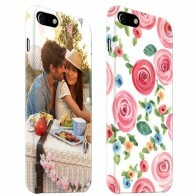 In addition, we can print the cases very quickly. If you order today, you can have it in the next few working days. All you have to do is design a case, we'll do the rest!